What a difference a week makes. Glittering gold, amazing orange and stunning scarlet are washing down the mountains right now, coloring the ridges at 3,000 feet and higher. 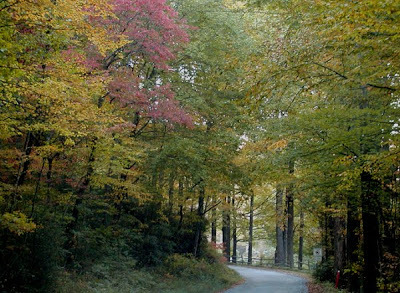 Portions of the Blue Ridge Parkway are peaking near Grandfather Mountain (see www.grandfather.com for gorgeous photos) and Craggy Gardens. 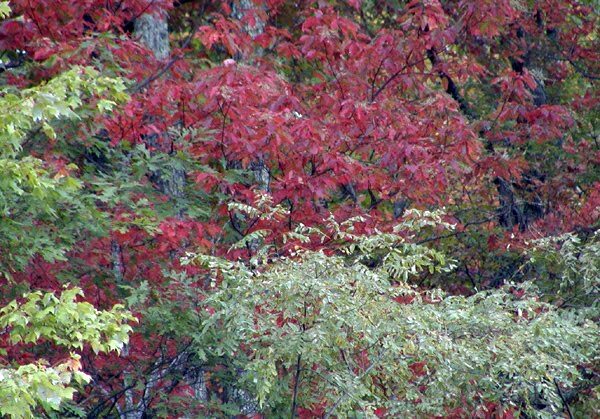 At the Inn, Dogwoods and sourwoods are keeping their red leaves, with sumac and maples joining them. We’re also starting to see a lot of birch and beech trees turning brilliant shades of yellow. Even some of the tulip poplars are more yellow than last year, when they were mostly brown (although their leaves are falling faster than the other trees). This past weekend, we took the innpugs for a nice stroll on the pretty half-mile walking trail around Lake Tomahawk north of downtown Black Mountain. 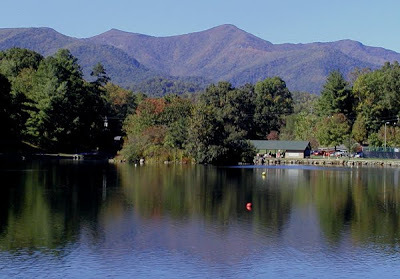 The sky was a perfect Carolina blue and the mountains provided a beautiful backdrop. We recommend visitors enjoy Lake Tomahawk for yourselves when you come to our neck of the woods over the next several days. Another great place to see is Montreat, the charming town north of Black Mountain. 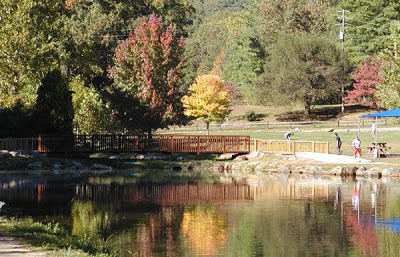 Montreat is home to a lovely college and conference center, home to Rev. 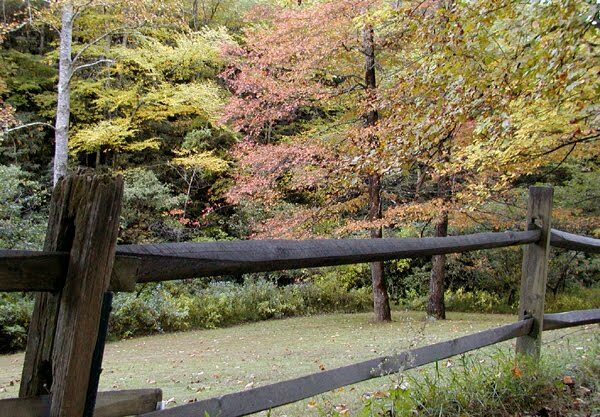 Billy Graham, and home to lots and lots of excellent hiking trails, including Lookout Mountain and Greybeard Mountain, both of which afford excellent views of the mountains in full fall splendor. 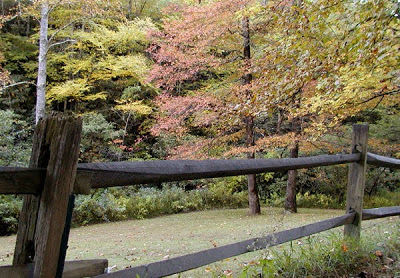 Go to www.montreat.org/programs/wilderness to download a Montreat trail map (also available at the Inn). This entry was posted in Uncategorized and tagged Autumn / fall foliage, Black Mountain, Blue Ridge Parkway, hiking by Inn on Mill Creek. Bookmark the permalink.